I’ve got to say, I’m a huge Toyota Fanboy. Anyone who knows me can spot my 2004 Toyota Celica coming from a mile away with my red rims, body kit, HID’s and lots of other awesome customizations. But on my last journey down south to California a few months ago I was surprised to see hardly any Toyotas driving around and a heck of a lot of Scion’s instead. 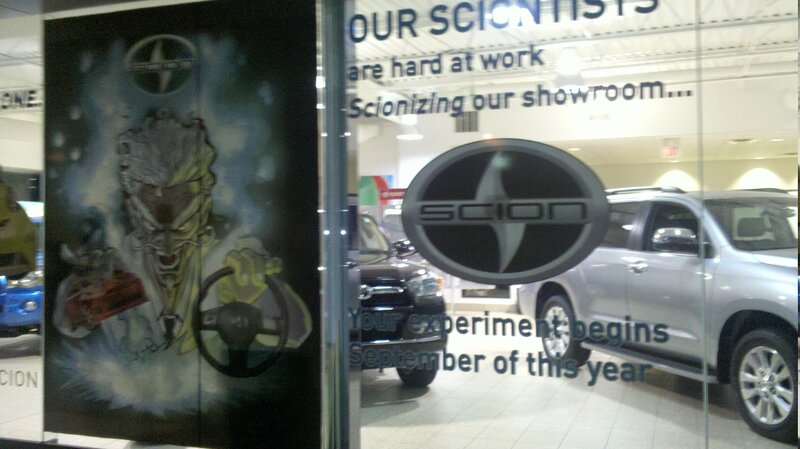 If you don’t know, Scion is a sub company of Toyota, same as Lexus (or Honda and Acura) and while I knew that Toyota was planning on bringing Scion to Canada this year in the fall, it looks like they have begun the process already. On my way driving home last night I noticed my local Toyota looked different so I obviously had to stop and take some pictures which you can see (click the Read More…) So far it’s looking pretty nice. 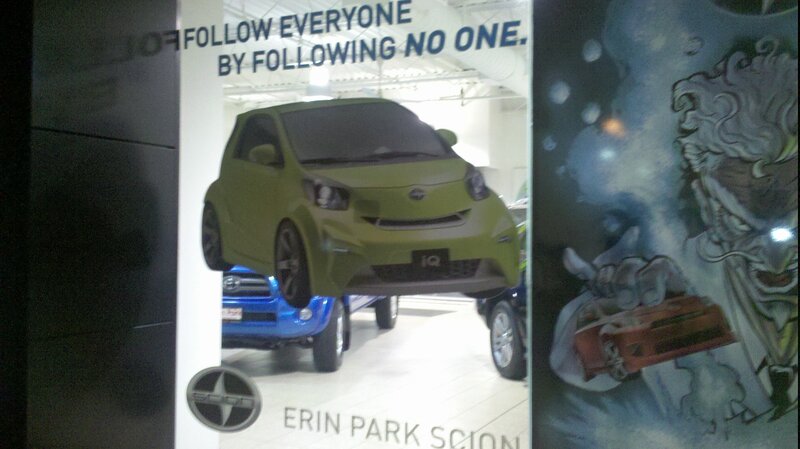 Scion definitely seems to be trying to appeal to the younger crowd that Toyota lost after they stopped making all sports cars in 2005. Take a look at their website after as well (link below) and check out the models they have on sale, the tC’s actually a really nice car at a good price too, I’d consider getting one if I wasn’t waiting for the new Celica which Toyota will be reviving in the near future, I’ll have a post updating you on that later on. So for now, enjoy the Scion’s and let’s see if they catch on as much as they have in the states and who knows, in a year, they may be the new civic/tim horton’s.